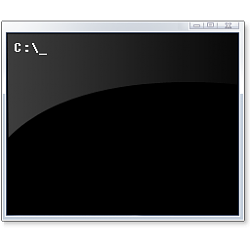 A console (or "terminal) is an application that provides I/O to character-mode applications. When you select and copy lines of text in a console, it will include wrapping lines instead of being rectangular by default. This tutorial will show you how to enable or disable line wrapping selection in a console window (ex: command prompt, PowerShell, Linux) for your account in Windows 10. When you enable or disable line wrapping selection for a console window, it will only be applied to the specific console window shortcut that opened it. For example, command prompt opened via Win+X menu VS Run (Win+R) dialog. Each location would have its own settings. 1. Open a command prompt, elevated command prompt, PowerShell, elevated PowerShell, or Linux console window you want to enable or disable line wrapping selection for. You could also just directly right click on the console window shortcut or file, click/tap on Properties, and go to step 3 below. 4. You can now close the console window if you like.